Malcolm Turnbull has thrown a spotlight on our cities as engines of productivity and places that offer a strong connection with our economic future. Urban infrastructure deficits – long complained about, now have renewed political attention from the highest office in the country. The Prime Minister has proposed the concept of a ‘30 minute city’ where jobs are closer to housing and he has established a formal cities portfolio within the Federal Government. All these are commendable and long overdue initiatives. They signal a renewed interest in the importance of getting our urban economies onto more productive and efficient operational footings. The policy and portfolio recognises that efficient urban environments play a critical role in our economic prosperity and have potential to raise our international competitiveness. The pathway to a true ’30-minute city’ is the motoring equivalent of upgrading the Holden Kingswood to a self-driving, all-purpose hybrid powered SUV with all the mod cons. I’m all for it. The answer is nothing – it is all good, provided we also tackle some of the policy thinking (the ‘software’ if you like) that has contributed directly to the problems the PM now wants to address. Otherwise, we may end up effectively treating symptoms while failing to address the underlying problem. I am specifically referring to planning constraints and the speed at which they have restricted development, choked new supply, limited market competition, added cost, reduced affordability, contributed to congestion, and reduced productivity and efficiency. In many respects, the Prime Minister’s focus seems to be on addressing our urban ‘hardware’ issues, whereas our urban ‘software’ has been just as complicit in running down our economic advantage. And for mine, many of the key problems are all related to urban software. Government bodies develop planning regimes. In itself, not a bad idea. But the introduction of rigid, urban growth boundaries immediately triggered a hot house environment, where available sites were bid up in price, while sites well suited to development outside the boundary languished. This contributed significantly to worsening housing affordability, and we continue to pay a high price. The simple relationship between supply and demand in reality, seems not so simple. Less land means higher prices, more land means lower prices. This is a ‘software’ generated problem, which few regional plans seem to recognise. The best policy in my view, is one that allows markets forces to work freely, however if we are to pursue policy that encourages settlement within established areas, particularly within CBDs we should do so only when there is adequate infrastructure to support the policy objectives. Another example is that of infrastructure charging and development levies. Both State and Local Governments embraced the concept of per lot infrastructure charges with enthusiasm. Whilst the intention might have been good, the practical implementation has fallen well short. Instead of investing infrastructure charges raised from development into agreed and articulated infrastructure (let’s call it the hardware), it seems in many cases funding has been used to fill other budget holes or consumed into consolidated revenue buckets. The lack of connection between projects against which these levies are raised has been an ongoing software shortcoming. I work in a national urban and civil infrastructure role. And as such I have a pretty good understanding of how the system ‘works’ across the states, territories and councils. Whilst I ‘get it’ that local issues need to be considered - the amount of overlapping, inconsistent and impossible to explain variations from one local authority area to another, even within the same metropolitan area, is mind boggling. Calibre recently prepared some work for a leading industry organisation which reveals how the same roads with the same traffic loads and same purpose can vary in cost by up to 40% should that road cross from one local government boundary to another. Gold plating is one term for it, but at the end of the day, this too is a software problem – because consistent standards would equal efficiency and they would equal outcomes-focussed solutions, not process-driven compliance and maintenance of the status quo – just because ‘it’s been done like that for years’. Telecommuting – often cited, rarely done. There is also the widely recognised issue of urban congestion, caused in part by hardware shortcomings in the form of infrastructure that lags growth. But this is also caused by a policy failure in that we continue to centralise employment through planning regimes. This goes against many of the features of the new economy that cities are intended to serve. To enable more flexible approaches to metropolitan wide employment growth, the rigid approaches to centres policy need to be relaxed. There is also an unwillingness in many states – particularly by large government departments – to seed the feasibility of dispersed employment centre growth with decentralised government offices. Everything about the digital economy and its relationship to employment means this is now more possible and economically sensible than at any time in our history, but old prejudices and entrenched behaviours are hard to shift. As I mentioned, urban growth boundaries, part of the software malfunction, were designed to deliver increased densities in our cities. Years on they have delivered this outcome, with apartment booms having occurred in most major capitals, but has congestion actually eased in our capital cities? I often ponder this on my 2 hour journey from the Sunshine Coast to Brisbane a couple of times a week (a trip that should take 1hr). And by no means finally (there are so many software shortcomings) what of the needs of the incoming tsunami of seniors (let’s call this phenomenon a “Senami”) for whom future housing options are limited. It’s not like we haven’t known about the aging population for decades. The pending Senami’s cause is due mainly to inflexible land use zones which preserve historic uses over contemporary or future needs. This makes it harder to convert neighbourhoods designed for large families of the 1960’s to communities adapted to current needs, via smaller lot cottage development with independent seniors living in mind. It also makes it harder to innovate in the provision of retirement and aged care within areas that contain a high and growing number of people in need of this type of product. Is it better to save the historic value of the post war cottage than cater to the needs of the post war resident (many of whom would now be in their 80s)? 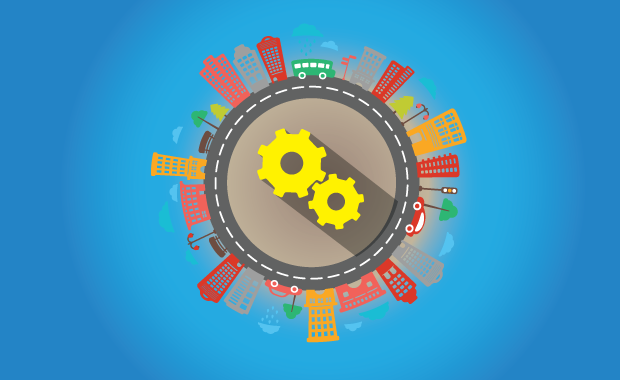 The focus on urban productivity and economic efficiency is welcome and overdue. But this doesn’t have to mean spending many billions of dollars on hardware fixes when sometimes, software solutions that liberate private development capital could achieve much more.